88 years ago Seidalin Rustem Abbasovich, Corresponding Member of the Academy of Arts of the USSR, honored architect of the KazSSR, winner of the State Prizes of the USSR and the KazSSR, was born. He is the author of famous memorial dedicated to the deed of 28 heroes from Panfilov Team which is located in Almaty, building of the House of Friendship and Cultural Ties in Almaty, as well as dozen architectural objects in Karaganda region. He was born in Kyzylorda. Graduated from the Moscow Architectural Institute and the Academy of Building and Architecture of the USSR. Worked as an architect in the Institute «Karagandagiproshakht». 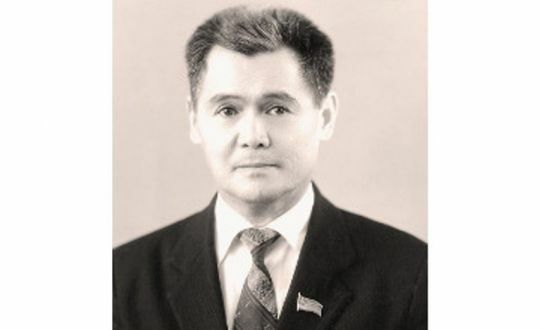 In 1961-1964 — principal engineer of the sector of the Kazakh branch of the Academy of Building and Architecture of the USSR. In 1964-1973 — Senior Lecturer, Associated Professor, Chief of the Department in the Kazakh Polytechnic Institute. In 1973-1988 — Deputy Chairman of the State Committee on Building of the USSR. Since 1988 — on a pension. Was a Deputy of the Supreme Soviet of the KazSSR of 10th and 11th convocations.